I remember the good ol' days. When someone asked about an annoying radio stations, the answer was always, "Oh wait, that's Radio Pigmeat International". Now, now, Al. 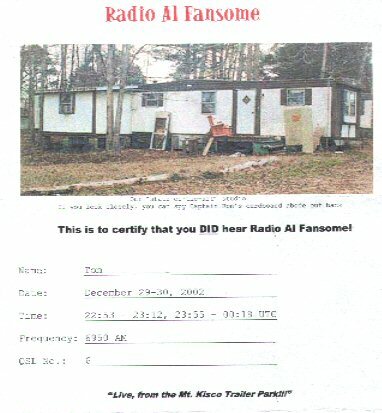 I was doing Radio Al Fansome in those days, too. Those hand made prints you created for the QSL's weren't exactly Louvre quality either. It's extra valuable due to the misspelling of my name. Kinda like that stamp with the upside down plane. 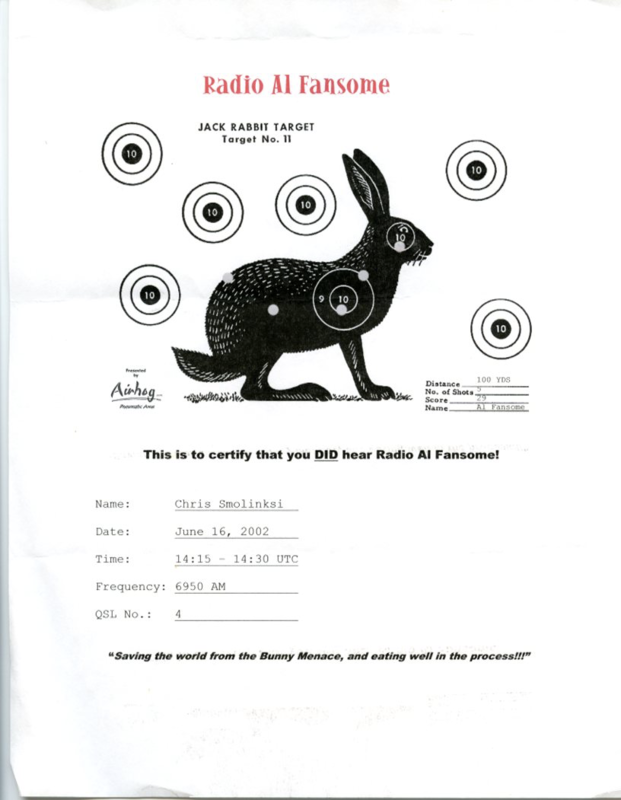 I'm sure the Committee to Preserve Radio Verifications would love to get their hands on that. None with the photo of his trailer and Cap'n Ron's box on them? Those were the collectors editions. That was quite the palace, Al. What made you move out? I used TDoA early this morning and noted "direct hits" on the Chicago area with different sets of receivers. Not that there was any doubt. That transmitter takes up 10+ KHz at a time. The system should be ready to go online just about the time the great correction takes place. Never mess with gay frogs.